Hi loves! 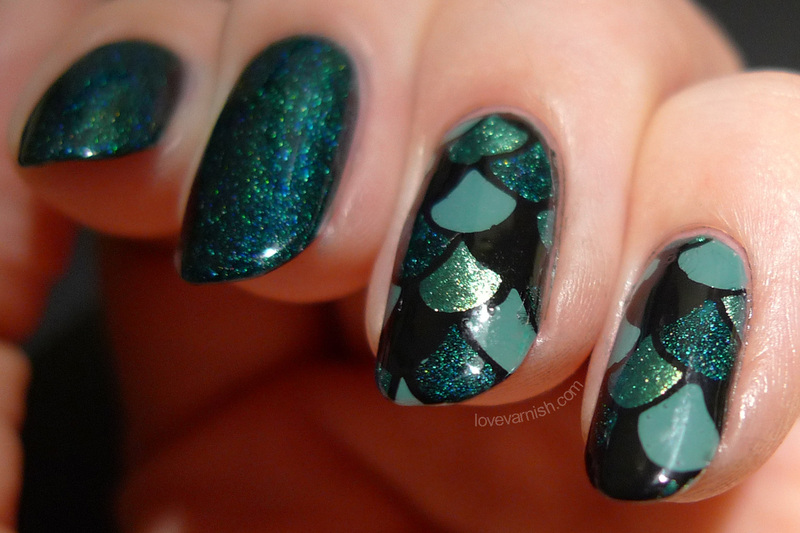 Today I want to share my top 10 nailarts of 2014. Again, it was difficult to narrow it down but I managed to do so :-D. Hope you like them too! They aren't in any particular order, just oldest to newest. Also, have a great New Years Eve tonight! Hopefully 2015 will be as awesome as 2014 was (at least for me), or even better ^^. Be safe! I love that Black & White look, so so so pretty! All of those mani's are amazing!!! Have a great New Years!! 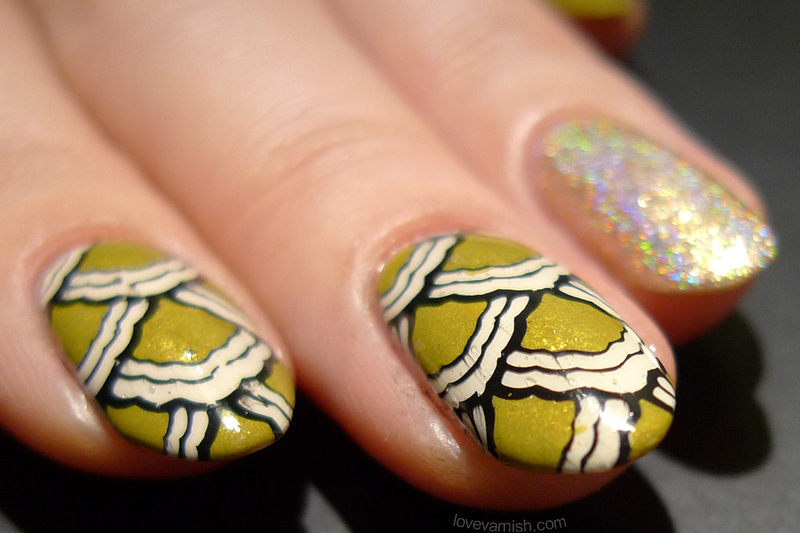 You've had a great nail art year - my personal fave is the stamping decals with CG Trendsetter! You inspired me to use that polish for nail art when I read that post. Absolutely stunning - love every single post! There are so many good ones here! Gorgeous as always!! I can't wait to see what you have coming in the new year! You are so talented that I don't even know where to begin. Every single one is absolutely masterfully done! You are a true artist! My top pick is the grunge french mani but I do love them all!!!! The leopard one is my favorite! 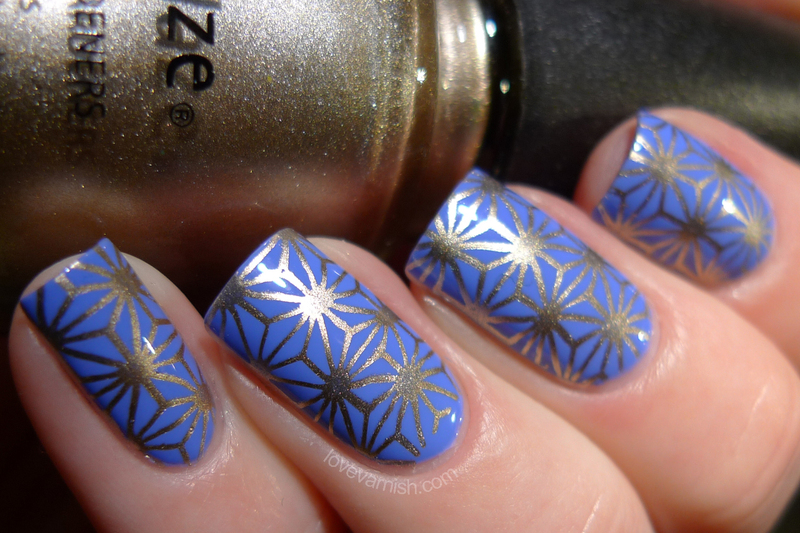 Loved loved LOVED the stamping decals with Trendsetter - it looks SO COOL! LOVE LOVE LOVE all of them! I can't even pick a favorite but the black with gold grungy french is up there! I love all of the manicures, but the black & white look you created is my favorite! Happy 2015! I LOVE all your manis, especially the black and white, the CG Trendsetter and the double stamping ones. Happy New Year! These are all beautiful! I especially love the grungy French tips (and I'm not usually a fan of French tips!) and ALL your stamping! The leopard skittlette is my favourite! I love those colours together, so gorgeous! Great picks! I love all the ones you chose - I think my faves are the cherry blossom mani and the fish scale mani :) Happy New Years! So much love for all of these looks. I don't think I can even pick a favorite, but I'm still going to try that double stamped flower mani! All of these are amazing!! 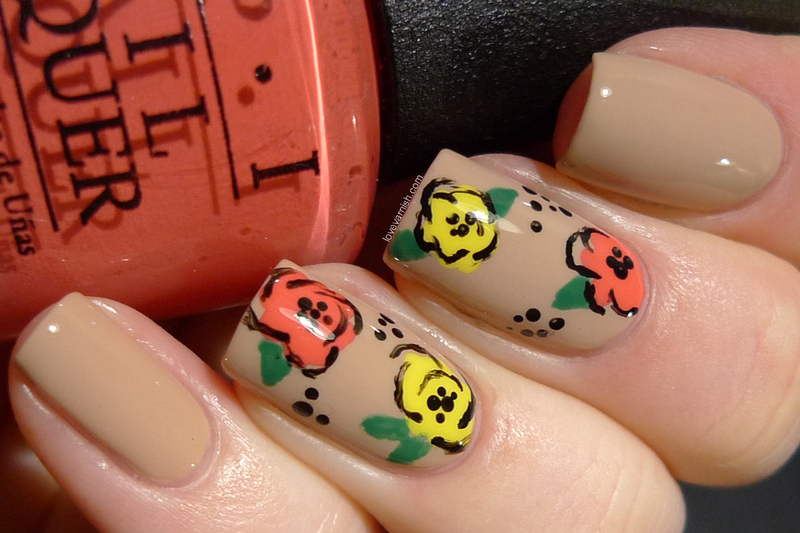 I love the double stamped floral design and the grungey french tip design! Happy New Year!! LOVE the grungy french manicure. Great picks, I love them all and I envy your stamping skills! Thanks Sarah! Glad you like them :). Thanks so much! Hopefully there will be lots of fun looks this year :). Thank you Allison! I can honestly say it's all practice - looking back to my older posts you'll definitely notice the progress ;-). Aww, you are making me blush Lola, you are always so sweet to me! Thank you for that ♥. I still do too! Might do the look again but on my not so nubby nails. That would look perfect on you I think! Thanks Phyrra, glad you like it! Haha I won't make you ;-) glad you like them so much! Thanks Catherine! I still LOVE that shade and I think it's awesome how pairing it with other shades made it less ugly. You can definitely create it! It's super super easy, really :). Thanks so much! Hope you are having a wonderful 2015 so far. Thank you very very much, and have a great 2015 as well! Thank you Kerry, that's probably the only way I could wear a French tip as well ;-)! Aww, you are too sweet Kellie, thanks! :) glad you like them Nicole! Have a great 2015! Please do - it's SO simple yet effective, really! Thanks so much <3 have a great 2015!